This is the first time, in three days, I’ve turned on my laptop. I pulled back my bedroom drapes this morning, just to make sure there was still a world. I’ve been asleep for 3 days. Before Chemo, this would never have happened. Oh sure, I could take a nap every now and then, but to allow my body to curl up and just sleep? A toothache was the culprit, but is getting better. I have heard that Chemo is hard on your teeth, but I wasn’t prepared for this. I lit some of my favorite candles, and just went with it. My sponsor told me years ago, a lot can happen in 3 days. She would always suggest, waiting 3 days before making any monumental decisions, or taking action. Something would happen to give me a revelation, or the time would cause it’s importance to fall away. One thing I wanted to accomplish this week was give my daughter a ‘Birthday week.’ I don’t believe I’ve ever done it before, maybe when she was little, but she turns 17, August 8th. So, I went around to different shops, and collected 7 little things I thought she would like. Little things to remind her of who she is, where we’ve been, and where we’re headed. Even with this nasty toothache, God woke me up these last three days, to give her one. I had the clarity of mind, to write a note about the item, which is all the writing I’ve done, up until now. I loved writing her the note more than anything, because the words just flowed from my heart to hers. She got choked up a couple of times, but there should be emotion in our writing. I’m so grateful to have been able to do that for her each day. Today is Day 3, of her birthday week, and I’m having trouble deciding what to give her next. I’m thinking it will be the LED sign that says, “No Regrets.” I want her to know at this young age, to live a life of no regrets. That means doing things that scare you sometimes, like Chemo, but I can honestly say, I have no regrets in my life. Just keep living, loving, and learning. Driving down the road this afternoon, to pick up my daughter, this song came on the radio. It’s by Plumb, and she always pierces my soul. I listened intently to the words, and discovered they describe this path I’m on. I just wanted to share this with you here. Being a Letitgocoach, the first few words caught my attention quick. I’ve heard this song before, but today it was like she was singing it for me. Do you have days like that? The next verse that spoke to me was, “I ran away from you, and I did what I wanted to, but I don’t want to let you down. Lord, I’m ready now.” It was difficult not to cry while driving. I don’t believe I run away from God anymore. Oh yes…I used to quite often. He always positioned me just so, and what was in front of me seemed insurmountable. What I didn’t realize then was, everything we go through prepares us for what’s ahead. I was ready for what He gave me, but I allowed fear to set in. So, there I would go down a bunny trail, and do what I wanted to do. There were missed opportunities I’m sure, but I have no regrets. God is patient, and kind. He would wait for me to get done doing my thing, and give me another chance. No more letting Him down. He has given me a beautiful life. Even though the path I’m on has a good deal of uncertainty, I can trust Him. Looking over the past year alone, I can see where everything up to this point, has prepared me for where I am. I have moments of fear of what lies ahead, but I’m not alone. Today, I can finally say, Lord, I’m ready now. Let’s do this thing. It can be tough being a coach. People expect you to behave like one. 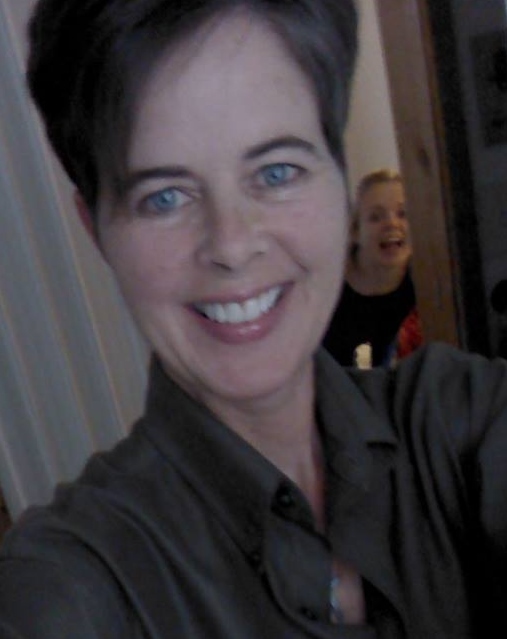 My daughter tells me every now and then, “I think someone wrote a Blog about how you’re acting right now.” Mr. Smith laughs and says, “You need to let it go!” So what happens when I need to have a big ‘ol fit? I wait till everyone leaves… go outside on the porch and have at it! This was the question I started asking myself a while back and continue to do so today. 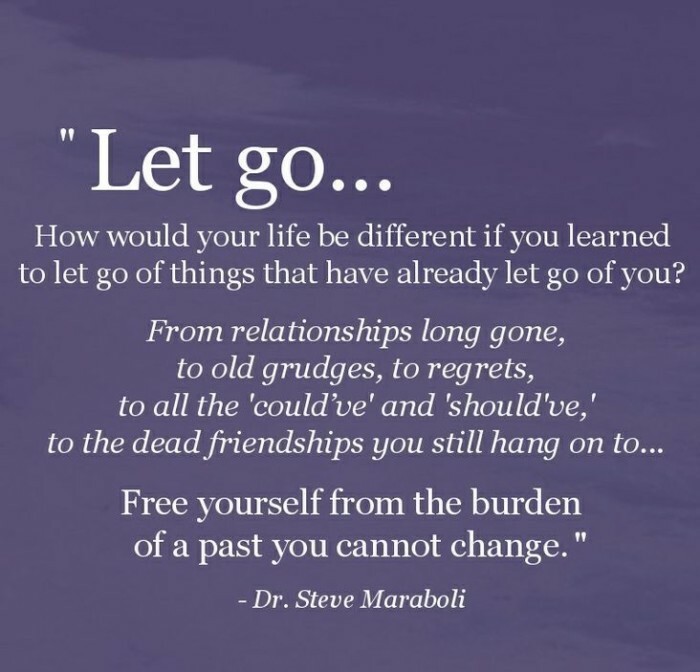 “How would my life be different if I learned to let go of things that have already let go of me?” I was legally married for 25 years. Ten years into it, I had a spiritual awakening and stopped drinking. God completely took the desire away from me. The marriage was okay for another five and then we told ourselves we would stay together for the children. Our parents did the same, but I refused. The children knew we were miserable and here I am. I let go of who had let me go. I still do this today and by God’s grace I’ve gotten quicker! The letting go process has been huge in helping me let go in all areas of my life. When I wake up filled with peace, I know I’m living a clean and healthy life. If I wake up feeling uneasy, God is trying to show me something I need to change, or warning me before a mild storm. The storms are a lot less intense than they once were. Either they are smaller or I have become stronger and more secure in who I am. There are days when the handful of people I allow into my personal life, enjoy picking on me. They tell me I need to Let It Go Coach! That’s okay though. I know they love me and I get to fully love them. That is the beauty of Let It Go.